Plumbing fixtures are one of those things that you expect to work every time you use them. However, on occasion, problems occur. Or perhaps you are looking for a change and want to update your kitchen or bathroom with a new, modern fixture. No matter the case, Top Dog Plumbing can help. 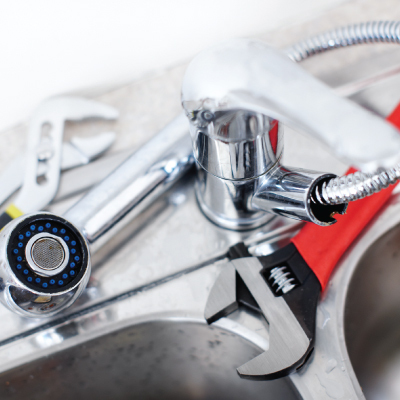 That leaky kitchen faucet or a busted fixture in the bathroom is more than just an annoyance, it can lead to major plumbing mishaps and even lower the value of your home. In many cases, it makes more sense to replace a fixture than to try to repair it. Not only will you have a new, dependable fixture, but the price may be more affordable than you think. Just make sure you take care of these problems quickly, because otherwise, they can become very big, very fast. Give us a call and let us get started today. You will be wowed our replacement services. If you are renovating a kitchen, bathroom or laundry area, one of the most important changes you can make are to the plumbing fixtures. After all, you can update everything else, but if you use old, outdated fixtures, the room will look bland, boring and unmatched. Plus, older fixtures may not have the dependability and lasting power you desire. Do not try to do it all alone. It is easy to underestimate the work that goes into changing a plumbing fixture. Our installation team has the knowledge and expertise necessary to do the job right and assure that it will serve you well for years to come. Plus, we will make certain your new paint job, cabinetry, countertops and other elements remain fresh and beautiful too. No matter what your reason for choosing a fixture replacement, you are in good hands when you call Top Dog Plumbing. Customer Service is our top concern. We will listen to your problem, make sure that we choose the best possible solution and help you choose a fixture that is not only perfectly functional but that you will find attractive too. This high level of customer service is what sets us apart from the competition. If you are considering fixture repair—for aesthetic reasons or because you are dealing with a break—we can help. Call us at Top Dog Plumbing today. We are Boise’s #1 choice for all your plumbing needs.